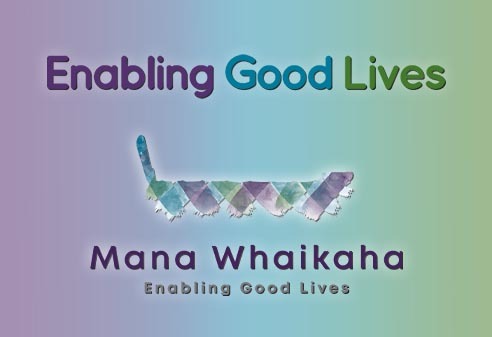 Parent to Parent Information OfficerThe intention of this article is to provide ideas for the development of positive relationships between families (whānau/carers) and school professionals. The more positive interactions are, the more likely that a working relationship will be effective, as in, better outcomes for the child. Goals are more likely to be reached when there are strong working relationships between everyone involved – the child, families and staff. First, let’s consider what effective communication skills are. As family members and carers of school children, you are likely to communicate with a wide range of people, including a range of professionals. In all situations our chances of the other person understanding what is happening for us, and what we want from them is increased by how constructive and clear our communications are. The skills briefly listed below can help with expressing what you want and how you want it, e.g. setting goals for your child at school. For further information please use the web links provided at the end of this article. Build connections – make the person feel relaxed and free to talk, this comes from a combination of what you say, how you say it, and what you are doing while it is said. Choose the timing – book ahead for a chat and/or meeting with school staff as they are more likely to listen effectively when expecting the conversation at a time when they can give you their full attention. Be calm, open, honest, non-judgmental, and make no assumptions – even if worried or angry about something, how we first start a conversation can show that we are interested in connecting with (and respecting) the other person. Perception checking – making sure we understand correctly the many things that are said as a conversation evolves to clarify what is being said. This not only improves our own understanding, but shows the other person that we are actively listening – are following what they are saying. Paraphrasing – a useful tool for perception checking. We can briefly say the main things back to the person. The other person can then agree and go on with more detail, or disagree and clarify what they were saying. E.g. “So you’re saying that this strategy is worth trying because….”. Summarising – before an interaction ends, it is helpful to be clear of the outcome by summarising the discussion. We can take out what we think the main themes of the conversation are and confirm these by summarising the discussion. This creates mutual understanding and agreement about what was said, e.g. confirmation of any specific tasks to be performed by either person. What is team work, and how do we achieve it? Value, respect and knowledge sharing – team work is most effective when each team member feels like they can add value and contribute expertise, and are likewise aware that other team members do too, therefore, each member can at anytime be the ‘coach’ or the ‘trainee’ – no one person is seen to have all the expertise. Rather, work together ‘on the same side’, to achieve desired outcomes for the child attending school. Encourage creativity and learning – blend complimentary strengths by brainstorming ideas, sharing information and learning together. No two children are exactly alike, therefore what has worked in the past, may not work again. Never feel ashamed to ask a question, a wise principal once told me, there is no such thing as a dumb question! Build trust and a communal sense of planning and doing – Respect each other, appreciate each person’s efforts; and don’t be afraid to be realistic and honest about the child and their requirements. Remember that children can act differently at home and at school – be aware that changes in children’s behaviour can occur for a number of reasons. Allow time for a relationship to develop between the family, child and also the principal. Principals can be good mediators for families, and they also provide support to teachers. Principals who understand the needs of the child can be more effective when providing support to the child, e.g. when they are sent to see the principal. Meetings are best begun with positives, e.g. sharing which strategies have been going well and achievements of the child – then discuss the challenges. Decide together on a clear system of on-going communication between home and school, e.g. email, text, phone call, communication book. Mindfully apply effective communication strategies. Arrange for other professionals, e.g. occupational therapists, speech and language therapists, psychologists who are involved with the child to communicate with the school by email, text, phone call, copies of reports. Consider asking therapists to visit the school – this could be extremely useful. Work towards common goals, but limit the number, especially in the early years (0-6 years), two goals is a good amount to focus on at a time, with three being the maximum recommended with older students. As appropriate, the same goals of focus can be applied at home and at school within the same time period. This relies very much on everyone being very clear of the goals and the strategies agreed upon to be used. Develop information about the child, this could be in the form of an individual profile and/or a completed family/whanau file (see further information links). Include the child’s likes, dislikes, strengths, challenges; strategies used that work well – what helps the child through the day. Consider including medical and medication information. Managing any conflicts – positively conflicts can be useful to clarify positions, roles and expectations; to share perspectives and create new direction. Unfortunately conflicts can be a time and place where harmful things can be said and occur, e.g. someone could feel unheard, collaborative relationships could break down and valuable resources could be wasted. They way forward after conflict depends much on our personal thoughts and feelings about conflict; and any skills we have learned. How we address what has occurred could determine if the conflict fosters positive on-going outcomes; or if it becomes a place of on-going disconnection. It’s Important to consider that collaboration and clarity both rely on occasional conflict to develop. Relationships need conflict to acknowledge individual views and keep perspectives clear. Constructive conflicts are when all perspectives are valued, and mutual outcomes are reached. Negotiation – accept differences, clarify points of view and find a ways to come to an understanding and find ways of working together that consider everyone. It helps to be ready to negotiate by knowing what you want and why; are comfortable with working as a team; am able to listen to another point of view; have some ideas/strategies ‘up your sleeve’; and have a back up plan if negotiations are unsuccessful. Mediation – It can be useful to bring a support person to meetings, someone who is regarded as highly credible, is fair, and has some skill in ‘working things out’. This person could improve the structure of discussions; yet is not expected to determine outcomes. Behaviour – It is helpful to keep a track of our behaviour in conflict, some of us may have learned responses to conflict that could make things harder, rather than easier. In the reference section you will see a link the Care Matters website, to an article titled Managing Conflict, this article suggests some approaches about replacing unhelpful behaviours with more useful ways of doing things.